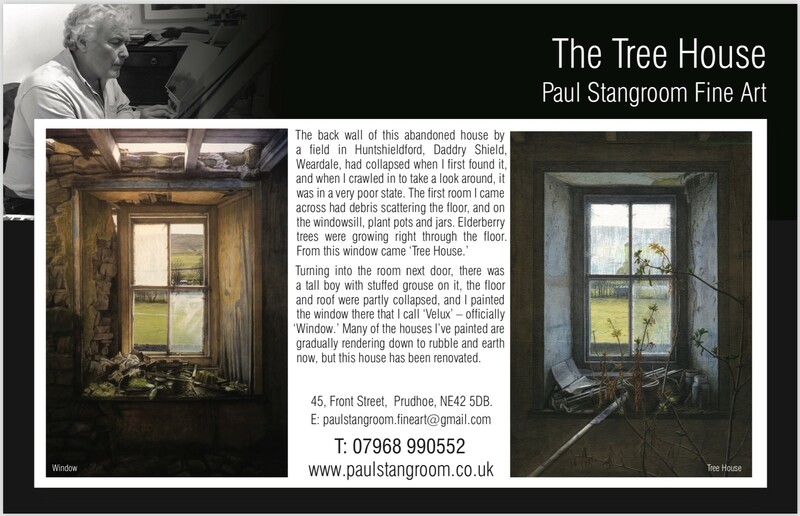 This blog relates to my painting 'Window' and explains some of the inspiration behind my work. I'm so often inspired and amazed by what I find in long abandoned, crumbling cottages, farmhouses and barns. 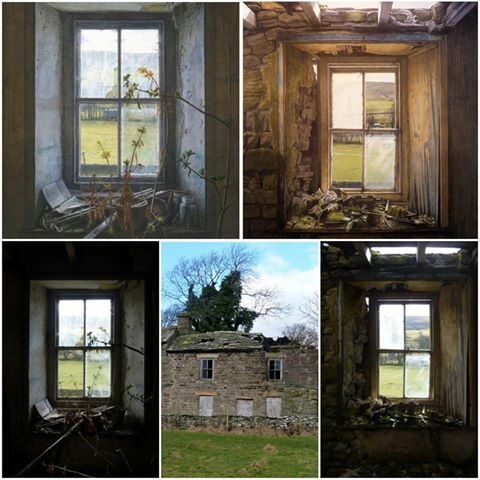 The photograph above features items left in an old farmhouse I explored in Huntshield Ford, between St John's Chapel and Daddry Shield in Weardale, which led to my painting 'Window', which you can see on the left. The brace of stuffed grouse surprised me most! I have found whole cooker ranges, chairs and many personal objects intact in these long abandoned, derelict cottages and farmhouses. I always leave the contents exactly as I find them, and paint what I see, without any rearrangement at all. I painted both 'Window' and 'Tree House' after discovering this derelict farmhouse in Weardale, near St John's Chapel - the two windows are upstairs. 'Treehouse' is the window on the farmhouse's left and 'Window' is on the right. 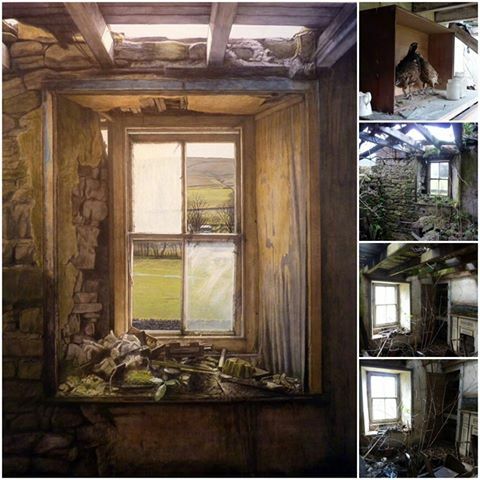 You can see the photos I took originally of the farmhouse below in the collage, and the actual paintings above.